This year's Mobile World Congress in Barcelona was different. The world's biggest phone maker Nokia had no new handsets to announce and various reports suggested that Samsung was hesitating about having a big presence on the congress (not that you could tell by their massive promo of the Galaxy S II). However amidst the huge shake-up after Nokia's announcement, a lot of new exciting phones were unveiled. The front-runner of all seemed to be the Galaxy S II with a dual-core Samsung chip and a sleek body. Тhere were some impressive innovations as well – the Sony Ericsson XPERIA Play was finally unveiled as the first PlayStation Certified handset, while the LG Optimus 3D made us think about all the possible uses of 3D on a cell phone. Here at PhoneArena we picked five handsets that we think will set the pace of the industry in some way over the next year, but it is your opinion that we want to hear now. Which announcements made you hold your breath in anticipation? Which phone did you like the most? Cast your votes in our poll below! Which was the best phone at MWC 2011? HP phones weren't at MWC, were they? Thought HP had their own coming out party about a month before hand. Am I mis-remembering? In all benchmarks Optimus 3D was better than the competition. And has a 3D screen(and cameras). How can SGS 2 be better? And where is the Atrix indeed? uhm... larger screen? optimus 3D has 4.3, GS2 4.27 or something am i wrong? 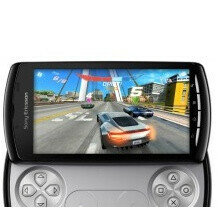 I voted for the Galaxy S II, but I will definitely buy the Xperia Play! I think SGSII is betther than Optimus 3D. SGSII is awesome!! R u using SGS2? or SS Man? I heard the Atrix won in one of the benchmark test, Why isn't the Atrix included in the poll? Se young and kun-hee are better than Optimus 3D and SGSII . Life is good?? but LG Optimus 3D is really good!!!! I voted for LG Optimus 3D, LG Optimus 3D is very excellent!! I think LG Optimus smart phone is likey to go up top level. Optimus 3D is the top model in this MWC, outstanding. 3D without glass is a defenitly cool stuff. No doubt about it. but buying those???? that's a big question.